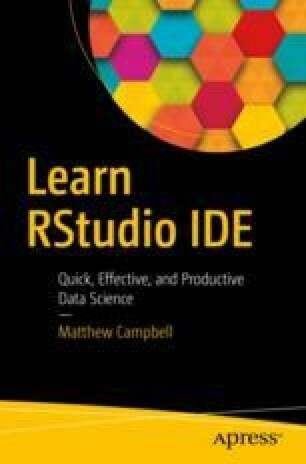 RStudio includes tools that help you write, debug, and keep track of your code. We have already seen code tools that are built right into the RStudio editor such as code complete, syntax highlighting, and tooltips. We can also include git support to help keep track of versions of our code files, refactoring support to help edit our code, and debugging tools which help us step through and inspect code.